Arzu Merali is a writer and researcher based in London. She is one of the co-founders of Islamic Human Rights Commission (http://www.ihrc.org.uk) and co-authored its recent study “Environment of Hate: The New Normal for Muslims in the UK” with Saied Reza Ameli. In 2006, there was a war – another onslaught by the invincible Israeli war machine. Despite a media bias so palpable that even the BBC found itself guilty in a review of its coverage of Israel-Palestine affairs, people did not care for the aggressors. They did care – in large numbers, on the streets of the UK and around the world – for the dead, injured and dying children who were collateral damage in what was supposed to be the annihilation of Hezbollah in Lebanon. Once again, at the hands of Hezbollah, the group responsible for more than a decade of guerrilla resistance that saw the Israeli army literally run out of South Lebanon in 2000, the Israelis lost. 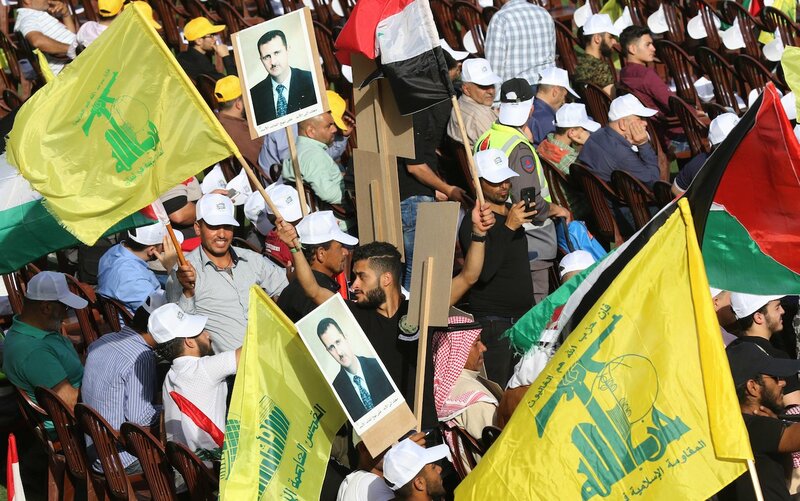 Israel’s psychology in this defeat was so much worse because people hoisted banners around the world proclaiming: “We are all Hezbollah.” With the banner came the flag, carried by young Muslims, old Muslims, middle-aged English ladies and anti-Zionist rabbis. It was pervasive, and it has stayed. This psychology is important towards understanding the UK government’s recent decision to proscribe Hezbollah under the Terrorism Act 2000. The Labour Party has raised concerns, while analysts have explored the convergence of the hard-power interests of the US, Israel and Saudi Arabia with Home Secretary Sajid Javid’s decision, which many see as an attempt to raise his star in the run-up to a Tory leadership contest. Amal Saad, a British-Lebanese professor at the Lebanese University, has highlighted the lack of justification within the context of the Terrorism Act’s own flawed raison d’etre, the UK’s attempts to work with Hezbollah to maintain stability, and the vested interests in Javid’s decision vis-a-vis another attack on Labour leader Jeremy Corbyn. It’s clear this bill is a bludgeon against Corbyn, but its effects on Lebanon will not be insignificant. It will also complicate things for the UK: how will it deal with the Lebanese president who is a staunch Hizbullah ally, or the Lebanese army which coordinates with Hizbullah? This decision is further proof of the bankruptcy of the idea of anti-terrorism as anything other than a political device to criminalise dissent, as Saad aptly describes, through transnational totalitarianism. It shows just how far the crackdown on ideas has come, and just how petty and venal the government has become. It is perhaps no surprise that a nervous, Brexit-unready country seeks validation from the US and Israel and money from the Saudis. But at the same time, there is a bizarre and truly shameful connection between hatred on the streets of London against pro-Palestinian activists and the British government. This is due to the link between this latest decision and a two-year campaign by a crew of fascists and pro-Israel media to shut down pro-Palestinian solidarity. This campaign has focused on the growing popularity of al-Quds Day demonstrations in London, which have increased in size over the years since the 2006 war. Many powerful banners proclaim messages of solidarity, interfaith and inter-community harmony, and political and religious diversity in support of Palestine. Muslims, Jews and Christians, along with people of other faiths or no faith, take part. It differs from other demonstrations in that it looks to the long-term issue: the original usurpation of Palestine and ongoing injustices. It is not reactive only when another large-scale atrocity is taking place. To characterise an event where rabbis stand alongside imams, Palestinians and Israeli activists speak on the same platform, and women, men and children gather from around the UK, in such a way is offensive. But words can definitely hurt: after Darren Osborne drove a van into worshippers in Finsbury Park in 2017, news broke that his original target might have been the al-Quds Day demonstration. This egregious narrative has been validated further by Javid. It is a truly perverse moment, where those targeted for acts of terrorism now face the prospect of incarceration should they continue flying the flag of resistance against racism. Is the government really beholden to this bunch of right-wing groups? Has the state really taken what is essentially a hearts-and-minds debate around human rights, racism and justice for Palestinians and all oppressed peoples from the streets of London to the corridors of Whitehall? Like the ricin plot that didn’t exist, yet was used at the UN to justify a war on Iraq, or the trope of humanitarian aid necessitating intervention in Venezuela, this is flimflam that only the most misguided could believe. London Mayor Sadiq Khan has chosen his: an Islamophobic narrative demonising al-Quds Day via his tweet on the ban. Bizarrely, he talks about a ban under anti-terrorism laws in the context of anti-Semitism and hate crimes. It’s ludicrous, and this is the same thing we said when the law came into being two decades ago. This will criminalise dissent and become part of a gamut of law and policies the state uses to silence criticism. That toxic marriage of racism, legal instruments and those interest groups committed to chauvinism mirrored in the state’s own hierarchical and supremacist institutions is what any and all progressives – with all their differences – are up against. “Whose side are you on?” is the key question that will define those willing to resist oppression and work for the betterment of this world, versus those who will continue with their racist policies and discourses and plough into crowds of worshippers/Palestinians/anti-fascists worldwide. I know which side I am on.